Yes, there are burrowing owls living with the prairie dogs in Albuquerque. The owls nest in underground burrows, hence their name. They use burrows created by other burrowing animals such as ground squirrels or prairie dogs. If burrows are unavailable and the soil is not hard or rocky, the owls may excavate their own. Burrowing owls will also nest in underground man-made structures that have easy access to the surface. 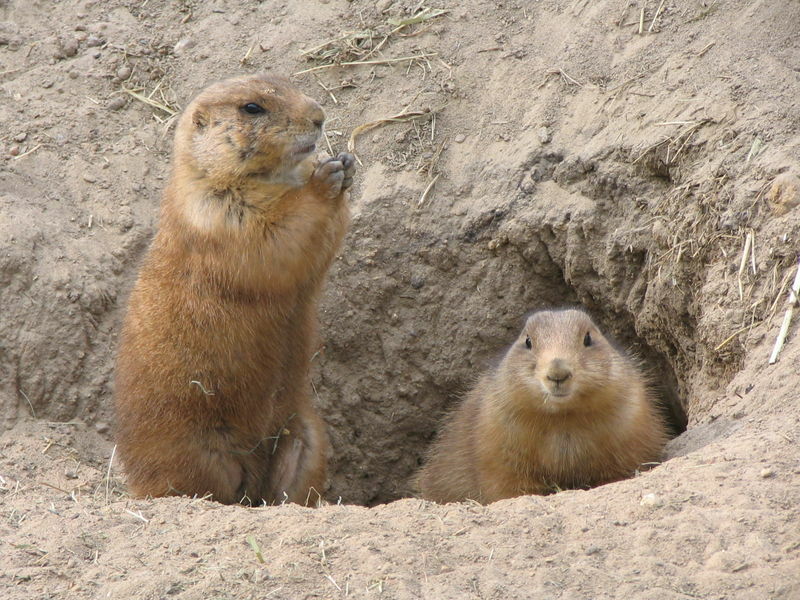 They take over prairie dog burrows and live as neighbors. The owls will eat baby or dead prairie dogs but they generally eat mice, insects, fruits and seeds. Unlike other owls they are general out during the day hunting at dawn and dusk. The owls make a wide range of sounds including the who who call, clucks, chattering, and screams. Perhaps most interesting is when alarmed they frequently make a hissing call that sounds like a rattlesnake. 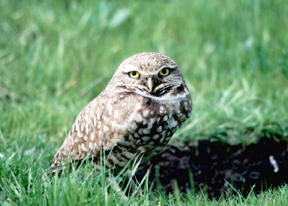 Burrowing owls are year-round residents in some areas and migrate south during the winter months, in others. They usually return to the same areas, often to the same burrow. Urban development is steadily reducing their habitat and often when they return from migration they find their ancestral homes gone. These small owls prefer undisturbed areas. 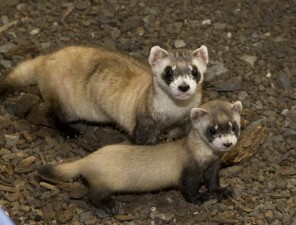 Too much activity prevents successful hunting and they will move to a more remote area if disturbed. Their nesting season begins in the early spring. The female will lay around 8-12 eggs over a two-week period. The eggs hatch in about three weeks and the chicks are able to make short flights after four weeks. The parents will continue to feed the chicks for up to three months after hatching. Usually only about half of the chicks survive. Even though they are a protected species, they are in serious trouble because of habitat loss and control methods for prairie dogs. When the prairie dogs are poisoned, the owls also die. Most of Albuquerque’s owls are gone. The owls tend to seek other nesting areas because the parklands and easement areas in Albuquerque are too busy and noisy. The few open fields left are often slated for development and are denuded of forage and vegetation by clean up crews leaving little or nothing that is edible for the prairie dogs and owls. In a recent article on prairie dogs, it is mentioned that their main purpose in the world is to feed other plains animals, provide homes for owls and plague the herds, fields and wallets of ranchers and farmers. 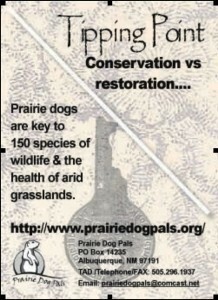 While all of these functions are legitimate, it did not mention the main importance of prairie dogs. Long before trappers, explorers and settlers arrived, much of the prairie had already been formed — not by cattle or hikers who didn’t stay on the trail, but by millions of animals, namely buffalo, elk and deer. These animals, in incredible herds that now only exist in hunters dreams, nearly deforested the entire Midwest. The buffalo also have another purpose in plains ecology: to wallow. Wallowing is when a buffalo rolls around on its back, creating a depression in the ground. This depression allowed water to collect, providing water for other animals and allowing plant life to flourish. It also allows water to flow directly to the water table. Without these massive herds, the water falls onto hard ground and quickly evaporates. 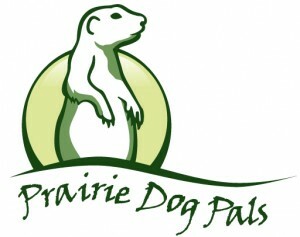 Prairie dogs dig their burrows, sometimes 50 holes an acre, all across the plains. These burrows go down several feet, letting rain water flow directly to roots of the grass. It also allows water to replenish the water table and underground aquifers. Now that water levels are dropping and Western cities are growing nervous, prairie dogs will need to have large numbers to balance human water use by replenishing our ground water systems and underground aquifers.